of Christ’s Gospel to children’s learning in all its dimensions. We are called to let the joy of our faith shine through the gifts and talents; we bring to our work. We are challenged to bring out the best in one another and in the children entrusted to our care. Jesus calls us to discipleship. Discipleship means involvement. In our calling, as disciples, and as educators in a Catholic school, we make the Good News visible to all through our words and actions. Within our school, we are all called to be leaders, in some form; in our classrooms, to the children in our care, to each other. As Leaders in a Christian context, we can ask ourselves how this might differ to leadership in another context, workplace or school. Have you thought about the talents that God has given you? Have you thought of how you can put them at the service of others? Do not bury your talents! Set your stakes on great ideals, the ideals that enlarge the heart, the ideals of service that make your talents fruitful. Life is not given to us to be jealously guarded for ourselves, but is given to us that we may give it in turn. 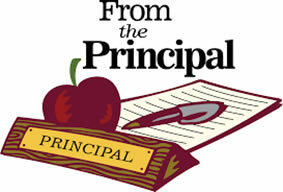 In 2019, one of the new and exciting initiatives is i–Read ‘The Principal’s Reading Challenge’. The goal of this initiative is to inspire all children to love books (and reading) and to be highly motivated readers and successful literacy learners. This program provides an exciting opportunity for all children to be further engaged in reading enabling them to set individual goals and to monitor their own progress. 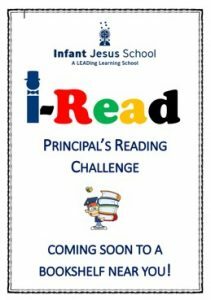 We believe that the i–Read ‘The Principal’s Reading Challenge’ will assist in further developing excellent comprehension skills (which is a school focus area this year) that will then be applied across all curriculum areas to improve outcomes and enable all children to flourish. Over the next few weeks, the class teachers and I will be discussing this initiative with the students. In class, children will be guided in selecting an individual reading goal each term through class discussions where teachers will share the books that have been given to the year level so that children can make their own choice. There are 100 books for each year level covering a range of topics and interests. The children will be amazed at the selection! All the books for the year level are stored in a bookcase placed between the two classes to ensure that all children have easy access and can change books as needed. Each child also has an i–Read ‘The Principal’s Reading Challenge’ folder where they will write their reading goal for the term which is then shared with me. This is an individual goal and is focused on achieving their personal best. I am very interested in seeing what these goals might be and will be visiting all the classes next week. It is also very important that children look after this folder as it lists all the books that are available for the year level, tracks the books that each child has read and provides ongoing motivation and engagement as children check the books that they have read and celebrate the achievement of their reading goal each term. Improvement in concentration, memory, vocabulary and language skills. Developing self-esteem and independence – the more you read the more educated you become. Developing imagination, creativity and ideas. Developing informed opinions and viewpoints. Developing empathy, humility, kindness and a broader outlook on life. Increased knowledge of the world (by broadening horizons and outlook on life). Improved outcomes in many other areas of the curriculum as by reading children are more engaged in the task. Development of skills for life-long learning. We are expecting that parents will be involved through discussing their own love of reading with their children, demonstrating both interest and excitement in what their children are reading as part of this initiative and motivating and supporting their children to reach their individual reading goal for each term. I am extremely interested in ensuring that all children become lifelong learners and recognise that being a successful reader is very much linked to becoming a successful learner throughout life. I am also looking forward to visiting all the classes in the next week or two to find out what each child has chosen for their reading goal for this term. I will also be visiting classes throughout the year so that children can share their goals and achievements in reading. 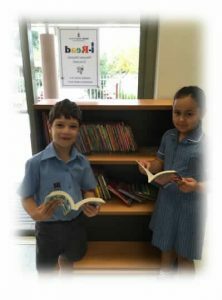 To enable this initiative to be implemented we are very thankful to the School Board for allocating funds to support i–Read ‘The Principal’s Reading Challenge’ and to many generous parents and volunteers who have given much time during the last few weeks to cover hundreds of books. It has been amazing to see how quickly this has taken place which then ensures that children can access all these resources. 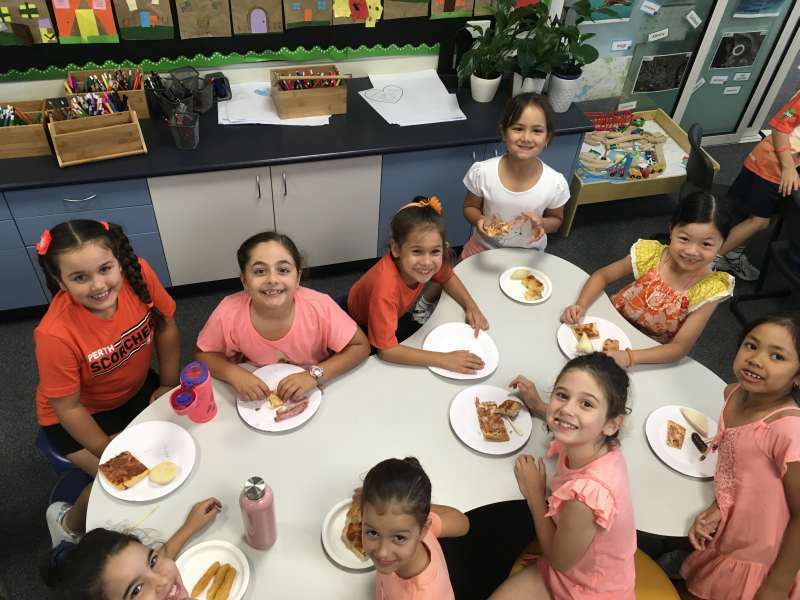 Yesterday, we celebrated Harmony Day. We saw it as a wonderful opportunity to recognise the many different cultures at our school. To highlight this occasion our children wore something with the colour Orange! The purpose of Harmony Week is to celebrate Australian multiculturalism and the successful integration of migrants into our community. Australia is one of the most successful multicultural countries in the world and we should celebrate this and work to maintain it. 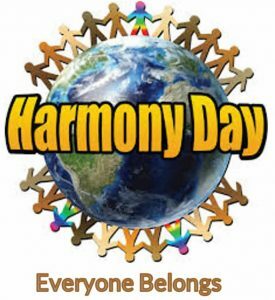 In the wake of Friday’s horrific attacks in Christchurch, the recognition and celebration of Harmony could never be more important. The Infant Jesus School Community would like to extend our thoughts and prayers of solidarity to the people of New Zealand as they try to come to terms with this terrible tragedy. We remember those who have lost their lives so suddenly and we pray for those families whose lives have been devasted by this tragic event. Let’s come together with friends and family this week and through our schools, your workplaces and our wider communities to celebrate our diversity. Our theme of “Expect Great Things” calls us to be the best people we can be. It challenges us to be better tomorrow than we were today. Schools are communities where staff, parents and students come together for the common good, which encompasses the welfare of all and the educational progress of each individual student. As a school, we try and support parents in the education of their children. As parents, we are role models not only to our children, but others associated with this school. For our school community to offer an environment of harmony, goodwill, an opportunity for individual development and the exercise of Christian virtues, it is important that we constantly remind ourselves to think about what we are saying and how we go about saying it, particularly in the presence of children. During Week 8 of this term, parents will have the opportunity to meet with their child/ren’s teachers to discuss their progress so far this year. Parents are encouraged to play an active role in the education of their children and these interviews are an ideal forum in which to help enrich the learning opportunities for students and to build partnerships between home and school. Parents and the broader community play a vital role in supporting successful learning outcomes for our children. Research tells us that the most meaningful partnerships are those where schools, parents, students and the community work together to focus on student learning. Parent and community engagement that is effectively focused on student learning can deliver powerful outcomes. Enrolments are now being taken for siblings and new students wishing to commence Kindergarten at Infant Jesus School in 2020. Families with children eligible for Kindergarten in 2020 are required to fill out a Kindergarten Enrolment Application Form. Infant Jesus School will continue to operate two concurrent Kindergarten groups next year with the days of attendance being Monday, Wednesday and Friday. 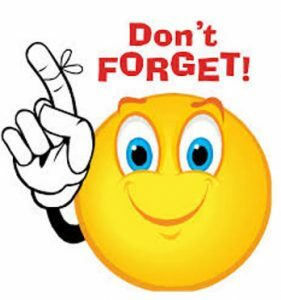 Kindergarten places are limited so it is important that parents within the Infant Jesus School community submit their applications as soon as possible. Forms can be obtained from the office. Last Friday’s shooting of innocent people in two Christchurch mosques is an event that has shaken people to the core worldwide. While we’d like to protect our children from such events, in reality, it’s impossible, as the news coverage is so widespread and the event itself has impacted so many people. The personal nature of this particular tragedy makes it even harder to stomach than some recent natural disasters that have made the news, as awful as they have been. Let your child or young person know that it is okay to talk about the events in Christchurch. Listen to what they think and feel. By listening, you can find out if they have misunderstandings, and you can learn more about the support that they need. You do not need to explain more than they are ready to hear, but be willing to answer their questions. While we don’t advocate censorship, we do suggest that you take particular care about your child’s exposure to news events. The consistency of images can be frightening for young children who don’t understand the notion of distance and have difficulty distinguishing between reality and fiction. Older children and teenagers will probably be interested in news events, but they probably need an adult available to answer their questions and reassure them. Many issues are now arising from this event that may be of significant interest to older primary-aged children and teenagers. Be prepared to engage in discussions about political leadership, gun laws, the coverage of the event itself by the media and other issues that will emerge. Increasingly, young people are demonstrating that they want to have a voice in shaping the world they live in. Give them a chance to air their concerns and formulate their ideas in the safe confines of home. Currently, we live in very divisive times. The fact that this shooting was carried out on one particular group demonstrates just the extent of the divisiveness of our community. Encourage kids to be inclusive, steering clear of valued-laden, extreme language such as ‘terrorists’, ‘evil’ and ‘horrors’ when describing the events and the alleged perpetrators. Not only does this type of language encourage children and young people to take a position rather than focus on the problems, it risks desensitising them to the reality of the impact of this event. The use of more sedate, yet descriptive language such as ‘gunman’, ‘awful’ and ‘tragedy’ can take remove the emotional sting, while demonstrating the enormity of the event’s impact. Your child may feel powerless. You may feel the same way as that’s what events like the Christchurch shooting does to us. Maintaining the same sleeping, eating and daily routines can help to restore a sense of control over our daily lives. We get that power back when we start to impact the people around us in small ways, making positive changes for the better. ‘Kindness’, ‘helping others’, ‘encouraging’, ‘sharing’ and similar concepts don’t make great political slogans but they form the basis of every strong community- which is precisely what kids need. The average child recognises over 200 company logos by the time they enter first grade. Tasmania is said to have the cleanest air in the world. In an average lifetime, a person will walk the equivalent of 5 times around the equator.